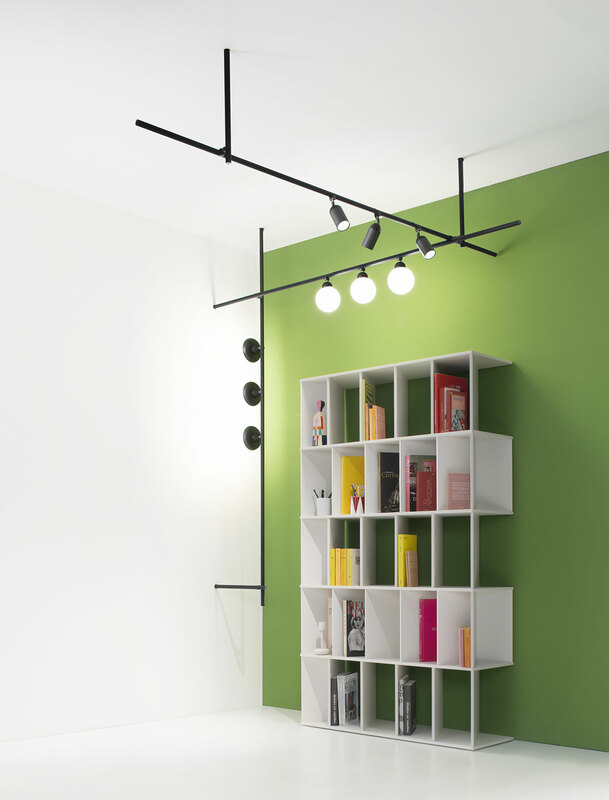 These pendant lamps, made of black anodised aluminium and bronze bars, are available in three sizes. 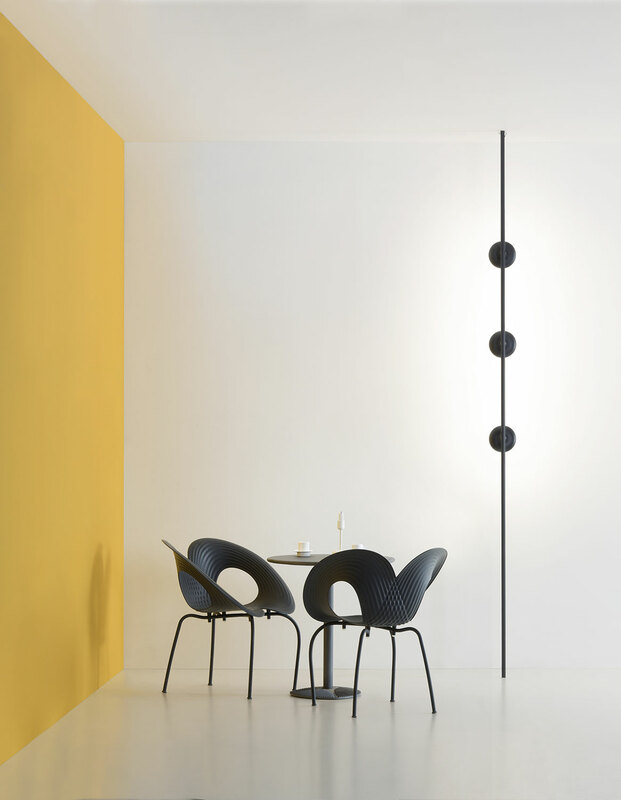 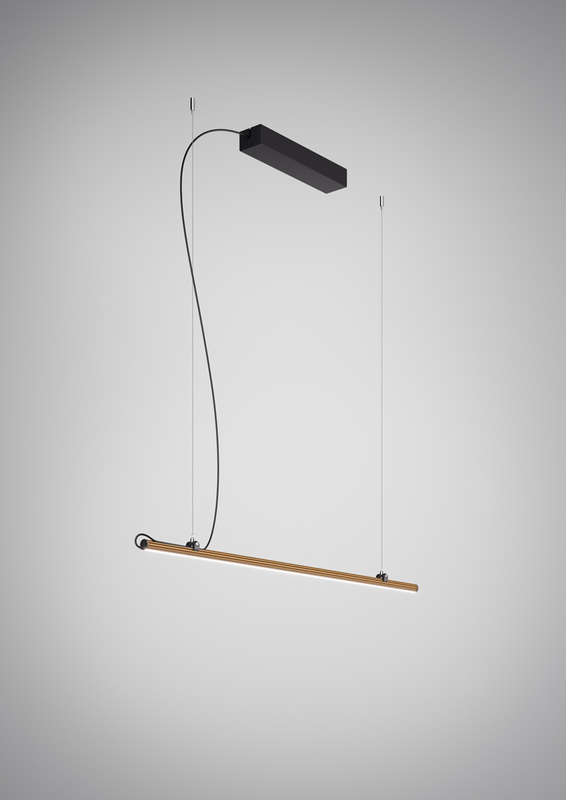 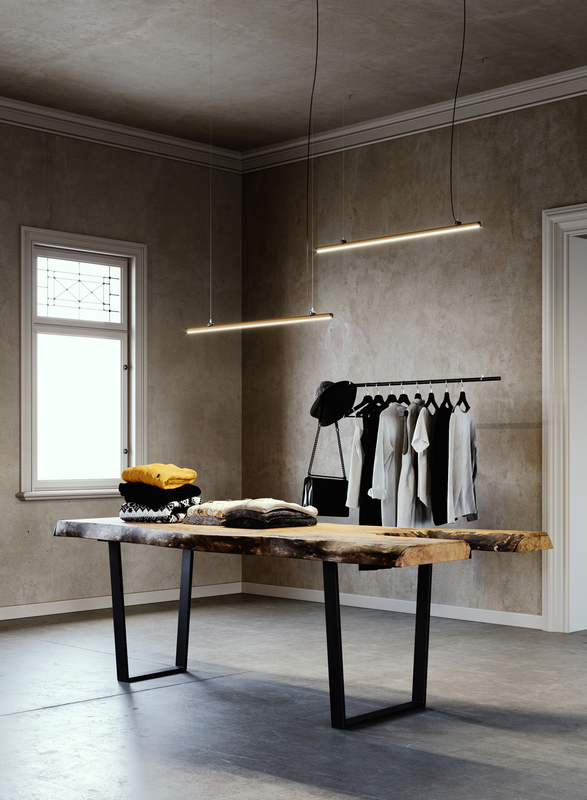 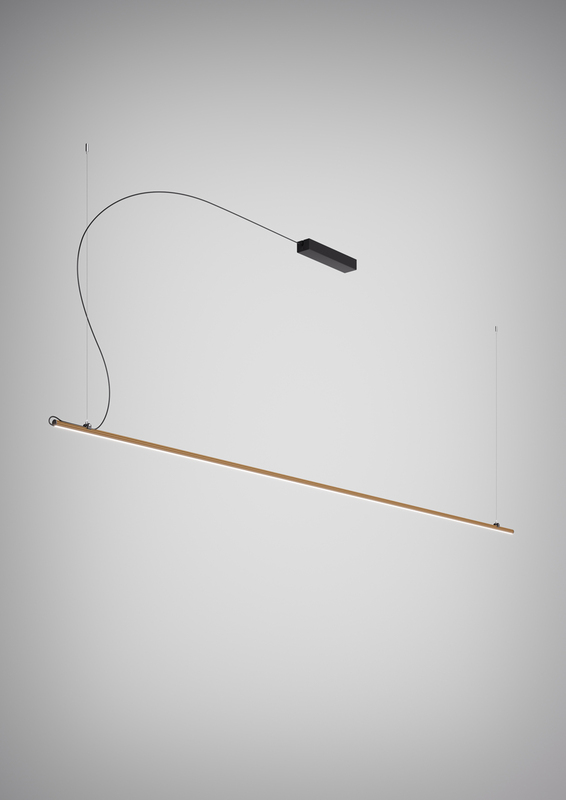 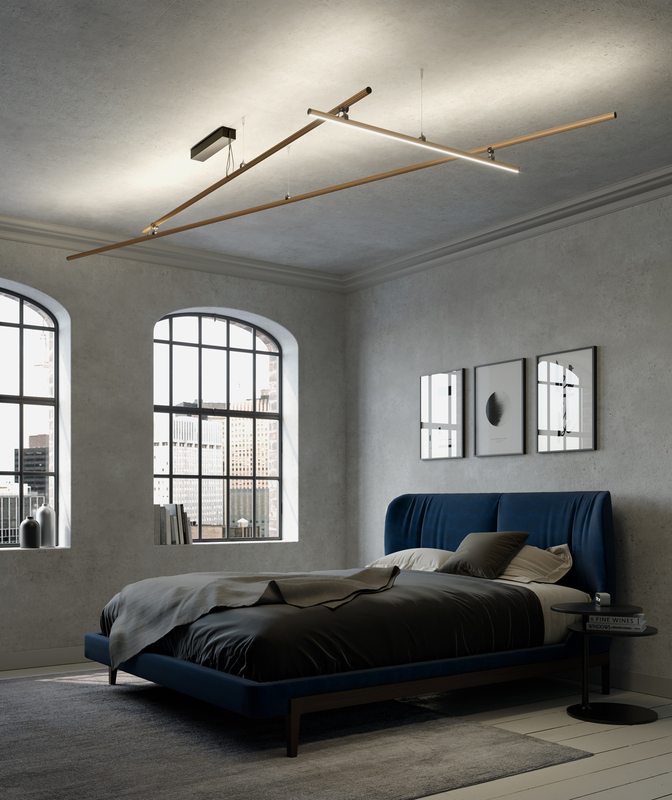 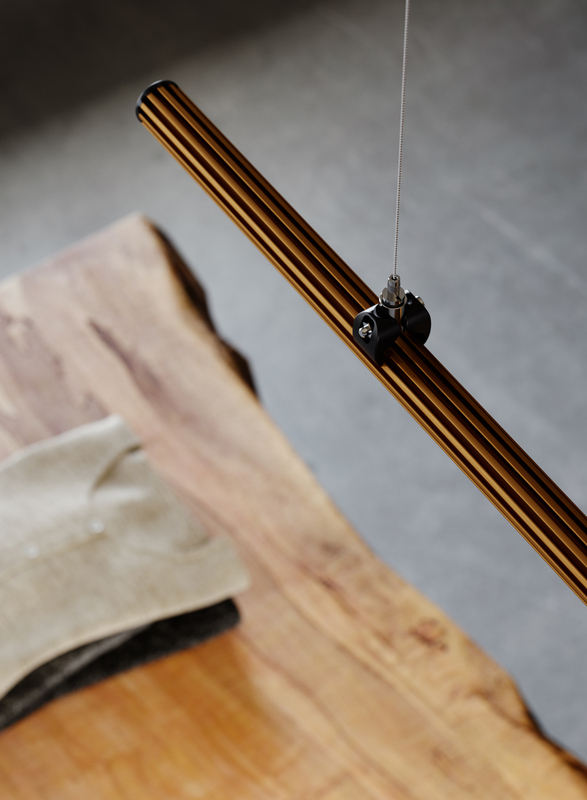 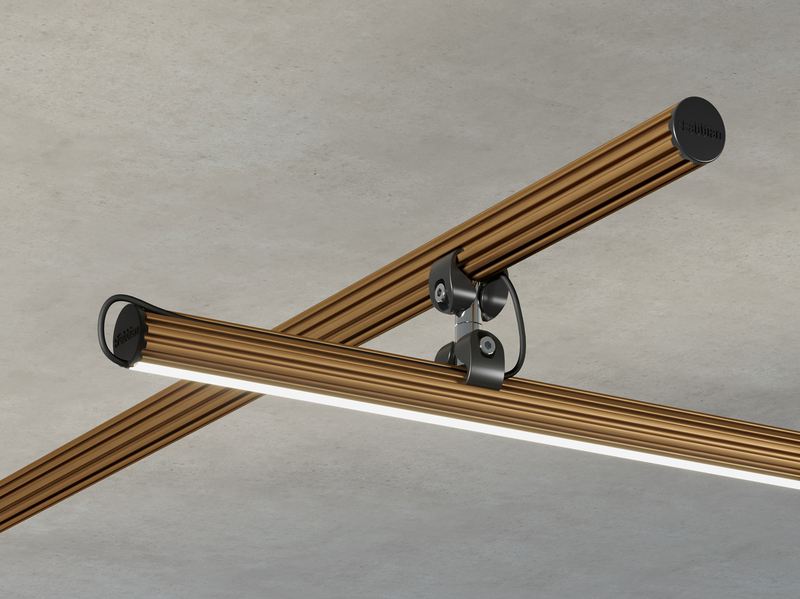 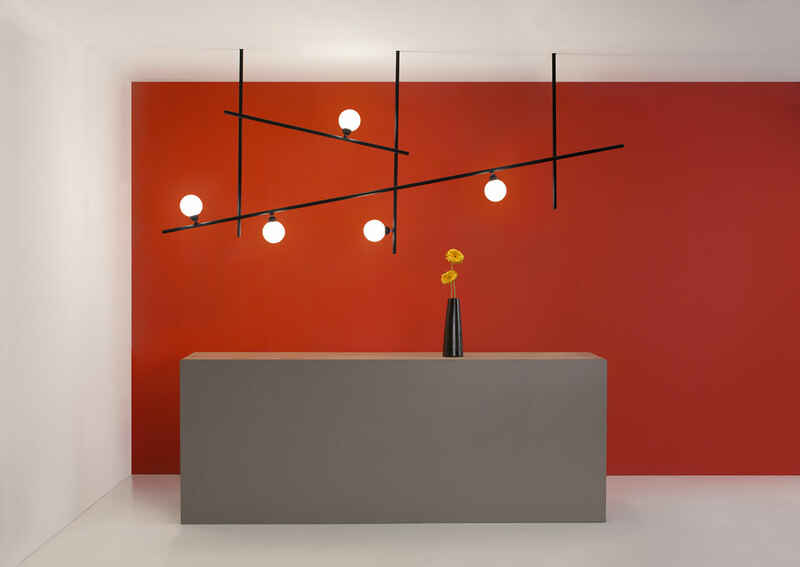 The suspension bars can be oriented for downward or upward illumination. 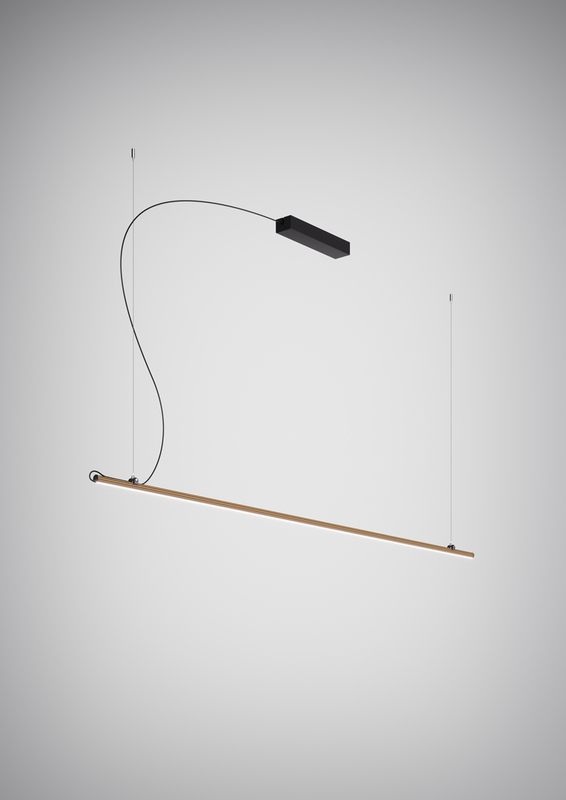 The electrification is mains voltage for LEDs, the power supply is through a driver that can be placed on the ceiling.